FEATURES & OPTIONS: Full Color Printed or solid colors available. Letters, designs and logos can be cut to shape. Installation not included in price but can be arranged. Cost-effective, quick to produce and easy to install, window graphis can be taken from concept to completion in a short period of time. 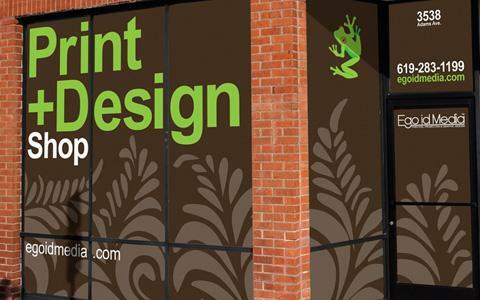 Our wide format digital printing service is ideal for covering large retail windows with full color self-adhesive vinyl or window-cling graphics and pricing can be quickly supplied on a square foot or complete project basis. Window graphics provide branding and communication of your product and service directly to you client at the point of purchase. Window signs and graphics provide imaging as well as privacy and security needs.